There’s a weird mix of emotions when something funny or cute that makes you smile immediately turns into pain. Don’t forget sneezing! 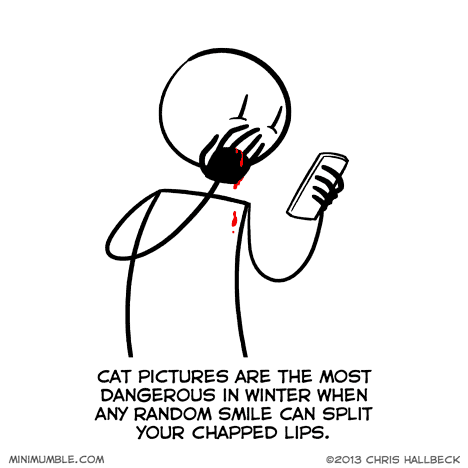 I split my lips all the time in winter by sneezing. Kinda detracts from the satisfaction of a good sneeze.